Posted on 3, June 2016 by EuropaWire PR Editors | This entry was posted in Automotive, Germany, Marketing, Security & Safety, Transportation & Logistics and tagged BMW Group, emergency and special security vehicles, GPEC 2016. Bookmark the permalink. MUNICH, 03-Jun-2016 — /EuropaWire/ — At the international trade fair GPEC being held in Leipzig from 7 to 9 June 2016, the BMW Group will be presenting a current overview of its comprehensive range of emergency and special security vehicles for police forces and other security authorities. The GPEC (General Police Equipment Exhibition & Conference) is held every second year and is Europe’s largest closed specialized trade fair for police equipment and security technology. As an important trade and services exhibition, the show is providing for the ninth time now an international communication platform for experts from authorities and other public security sectors. At the last GPEC in 2014, the organizer recorded more than 6,500 trade visitors from 62 countries as well as more than 500 national and international exhibitors from 28 countries. This year too, BMW Group is represented in Leipzig with a comprehensive range of functional and emergency and security vehicles tailored not only to meet the highest demands with regard to performance, functionality and security, but also to convince in terms of efficiency and economy. 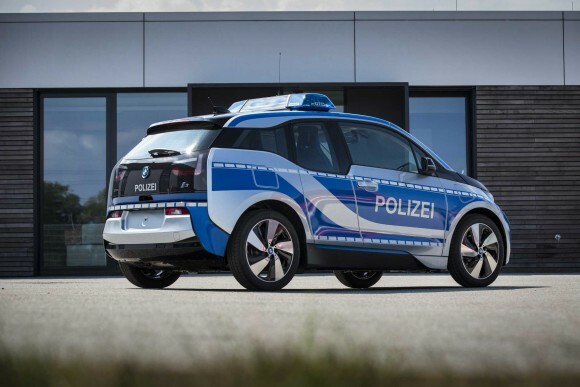 At the GPEC 2016, BMW is exhibiting seven different emergency and security vehicles, including the BMW i3 in an exclusive foiling design as well as the BMW 318d Touring and the BMW 220d xDrive Gran Tourer as a police emergency vehicle. Moreover, the spotlight will be on the BMW X5 xDrive50i Security Plus featuring maximum passenger protection coupled with characteristic BMW driving dynamics. In addition, the public authority versions of the motorcycle models BMW R 1200 RT, BMW F 700 GS and BMW F 800 GS will be on show.